At present Angeline Wee is an associate trainer of Image Flair Academy of Modern Etiquette. It is her aspiration and pleasure to impart her knowledge and skill to any one who shares her belief particularly the younger generation. Angeline Wee has extensive experience in Customer Service, Hospitality & Tourism, Office Administration and Training. She was a flight attendant with Singapore Airlines for 10 years before joining Visa International as Office Manager. She worked locally for A.M. Pappas & Associates LLC, a US-based Venture Capital firm for 8 years and started training in 2009. During her tenure with Singapore Airlines, Angeline was selected to mentor junior cabin crew members in addition to her supervisory duties as Leading Stewardess. She also assisted the company in various overseas promotional activities. As a dedicated service provider, she received numerous commendations and letters of compliments from satisfied passengers. As Office Manager with Visa International, she reviewed work processes, implemented cost-cutting measures and oversaw Facilities Management, including office relocation. In addition to general office administration, she also implemented guidelines and policies relating to Business Travel and introduced the first Travel Management Programme for Visa International Asia-Pacific. With her strong negotiation skills, Angeline was able to negotiate very attractive terms and competitive rates when reviewing conditions, fees and contracts with Hotels, Travel Agents and other service providers. 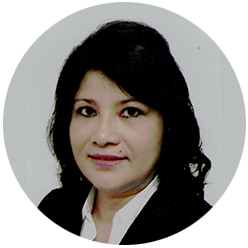 Angeline managed the administration and secretarial aspects of A. M. Pappas & Associates Singapore office. She was also responsible for client liaison and research work. With the relocation of the Company’s Directors back to the U.S. office, she was tasked with setting up a home-office and managing the Singapore Operations on her own. Angeline has been working as Suite Manager at the exclusive Paddock Club Suite with Singapore Grand Prix for the SingTel Formula One Grand Prix since its inaugural race in 2008. Her ability to lead a team of Suite Ambassadors and hotel employees to provide a high level of service earned her numerous commendations from guests. She has consistently been awarded Certificates of Excellence for exceptional service by Singapore Grand Prix. Angeline started her career in training in 2009. She conducts training in Primary & Secondary schools, Junior College and ITE in Social Etiquette, Prom Etiquette, Personal Grooming, Fine-dining, Airline Services/Cabin Crew Elective Modules, Motivational/Study Skills, Public Speaking/Oral Communication Skills, Career Planning, Interview Skills, Leadership/Team-building, Speech & Drama, Readers Theatre, and Critical Thinking Skills. She has also conducted workshop on Dress-sense for female Executive and Administrative staff at Dunman Secondary School. Angeline also actively conducts Corporate Training and facilitates on-going Age-friendly Initiatives workshops for Healthcare personnel with the Singhealth Group. Additionally, she has also co-facilitated Teambuilding workshops for clients including Law Society, Land Transport Authority, Infocomm Development Agency, First Data, Bank of America Merrill Lynch, OCBC-Great Eastern Life Assurance, SingTel and Wisely 98 Pte Ltd.
With her vast experience in the Customer Service and Hospitality & Tourism industry, she is able to interact well with and articulate the concepts to which course participants can connect. A passionate and dedicated trainer, Angeline believes in keeping her participants engaged through her sense of humour, encouraging active participation, sharing of personal experiences and communicating at their level. Angeline obtained a Distinction in the Grade 6 Reading for Performance Examination awarded by the London Academy of Music and Dramatic Arts (LAMDA) and is an Advanced Certificate in Training & Assessment (ACTA) – certified trainer. She has also obtained WSQ Statements of Attainment in Apply Colour Theory and Provide Advise on Fashion and Apparels conducted by Singapore Institute of Retail Studies (SIRS). Additionally, she is also an MOE-approved trainer.